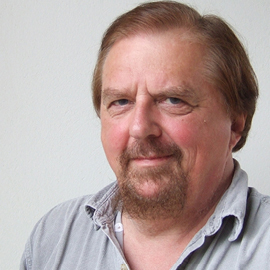 WATERLOO – Journalist and renowned commentator Gwynne Dyer will visit Wilfrid Laurier University’s Waterloo and Brantford campuses Feb. 9 and 10. Dyer’s lecture, “What the First World War Taught Us,” takes place Feb. 9, 7-9 p.m. in the Maureen Forrester Recital Hall on Laurier’s Waterloo campus, and on Feb. 10, 7-9 p.m. in room RCW 202 on the Brantford campus. Dyer wrote Canada in the Great Power Game, 1914-2014 to coincide with the centenary of the outbreak of the First World War. Canadians joined the war at an unfortunate time, and paid a high price – 60,000 Canadians died, out of a population that was one quarter of what it is now. Dyer’s talk at Laurier Brantford is part of a lecture series dedicated to the commemoration of the First World War and the more than 5,000 men and women who served from Brantford, Brant County and Six Nations. The Great War Centenary Association (GWCA), along with Laurier History professor Peter Farrugia and alumnus Evan Habkirk, will host seven lectures between February 24 and April 7. Speakers include Laurier professor emeritus and Canadian military historian Terry Copp. Dyer has worked as a freelance journalist, columnist, broadcaster and lecturer on international affairs for more than 20 years, but was originally trained as an historian. Born in Newfoundland, Dyer received degrees from Canadian, American and British universities, finishing with a PhD in Military and Middle Eastern History from the University of London. He served in three navies and held academic appointments at the Royal Military Academy Sandhurst and Oxford University before launching his twice-weekly column on international affairs, which is published by over 175 papers in 45 countries. In Canada, Dyer's column appears regularly in more than 60 newspapers, including the Telegram in St. John's, La Presse in Montreal, Toronto Star, Hamilton Spectator, Waterloo Region Record and Winnipeg Free Press. His column also appears in newspapers in Japan, China, New Zealand, the Middle East, Europe and Africa. In the spring of 2012, Dyer was made an officer of the Order of Canada. The lectures are free and open to the public. For more information about Dyer’s lecture and the lecture series in Brantford, visit www.doingourbit.ca.